Here's why the Pioneers are better than they were just one year ago. Despite an 0-7 overall record, including an 0-6 start in NJAC play, the William Paterson football team has shown marked improvement in multiple facets of its game when compared to last season’s 0-10 team. For starters, the Pioneers have a better point differential–the difference between the points they’ve scored versus the points they’ve allowed–through the first six games of the season when compared to 2017. Following a close 27-19 loss last year at Christopher Newport University, the Pioneers were being outscored 357-47. 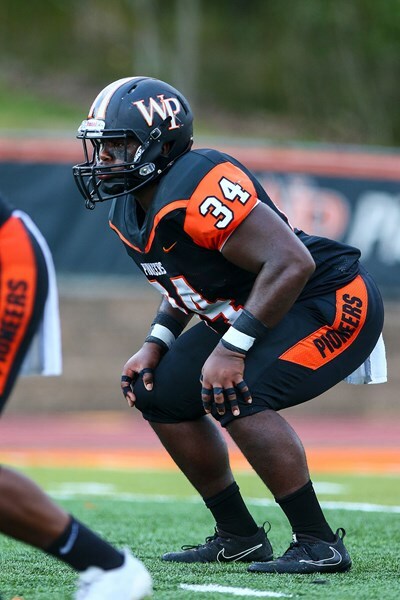 After Saturday’s 39-10 loss to Christopher Newport, WPU was being outscored 249-40. That’s a substantial improvement in point differential for just one year, with last year’s total at this point (310) just under 1.5 times the amount this season (209). The point differentials between these two teams also show how much better the defense has played this year, despite having offenses with virtually equal offensive point totals. The Pioneers have given up 108 fewer points this season than at the same point in the schedule last season. While the 2017 Pioneer defense allowed the opposition to put up at least 40 points in six of its first seven games, the 2018 unit has only allowed 40 points in a game three times. Those three times happened to be against No.7 Wesley, No. 5/6 Frostburg State and No. 25 Salisbury. The 2018 Pioneer defense ranks 125th in total defense so far, allowing 359 yards per game and 31 touchdowns so far. In 2017, WPU’s defense finished the season ranked a respectable 100th out of 243 teams in Division III in total defense, having allowed 350 yards per game and 55 total touchdowns. These are misleading statistics considering that WPU’s time of possession this season ranks 186th out of 247 schools at 28 minutes per game. It also doesn’t help that William Paterson finds itself ranked last in the country when it comes to total offense, with just three offensive touchdowns and an abysmal 168 yards of offense per game. It’s only natural that the longer this year’s defense is on the field, the more yards and more touchdowns it is going to give up. Another bright spot that shows the improvement in the defense can be seen in the success of some of the defense’s individual players. Junior linebacker Corey Anthony leads the NJAC in tackles with 83, while senior linebacker Charles Faulkner is second with 76. Freshman defensive lineman Chozen Davis is second in the conference with 4.5 sacks, while junior defensive lineman Brendan Yaw is sixth in the NJAC with 3.5 sacks. Although WPU hasn’t gotten off to a favorable start this season from a record standpoint, the team has been much more competitive in nearly all of its games when compared to 2017. William Paterson lost to Rowan 41-14 in 2017, but lost by just a 22-6 margin this season. Wesley handed the Pioneers a 43-7 loss in their third game this season as opposed to a 66-0 defeat in 2017. This season, the Pioneers were down just 7-0 after the first quarter against the Wolverines in comparison to a 28-0 deficit after the first quarter last year. After suffering a brutal 63-7 loss to Salisbury in 2017, the Pioneers lost 42-0 this season, and were able to hold the Seagulls to 13 points in the second half. This is a substantial improvement compared to the 35 points William Paterson gave up in the second half of last year’s matchup. Homecoming against Kean showed the team’s biggest improvement from last year against an opponent, with the Pioneers losing just 16-0 compared to 56-0. This year, WPU was outscored 13-0 in the first half and 3-0 in the second half, while last year’s team was outscored 35-0 in the first half and 21-0 in the second half. There’s no doubt that the Pioneers have a long way to go in establishing themselves as a legitimate contender in the NJAC, but it’s undeniable that the team is better than it was a year ago. The statistics show a genuine improvement that may be a sign of more successful seasons to come.